Microsoft-owned Skype promised last July that it would make its mobile experiences less battery intensive, and now it's making good on that promise for Android users. The latest Skype for Android release (version 4.7) features what the company calls "aggressive battery savings." Skype didn't provide any specific battery life claims, but the company says most Android device should be able to leave the app running without taking a major hit in battery life. But to get to this point, Skype says it had to make a few sacrifices. One key change is that notifications for messages in group chats are turned off by default. If you participate in a lot of group chats on Skype you can turn this feature back on by going to Skype's Settings > Notifications > Sync group messages in the background. Skype says disabling group message notifications is a temporary measure and the feature will be back on by default in the near future, new battery savings and all. Aside from the new battery life gains Skype is claiming, the app now lists all your Messenger contacts in the Skype view instead of just the all contacts view. In 2013, Microsoft phased out its longstanding Messenger desktop client to turn Skype into its unified messaging platform for consumers. Skype 4.7 for Android is available now from Google Play and is slated to hit the Amazon Appstore for Kindle Fire tablets later in March. 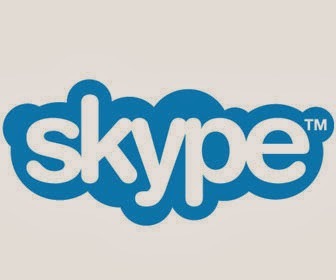 The new battery savings claims are part of Skype's overhaul of its background technology moving from a solely peer-to-peer (P2P) connectivity model to a mix that includes P2P and cloud computing resources. Skype's battery savings overhaul follows an Android design revamp introduced in October.